You are here: Home / Communities / Can the real estate market in the Golden Hills Support this price? Can the real estate market in the Golden Hills Support this price? **Update** The home was recently reduced from $1,050,000 to $999,000 but is still active and for sale. 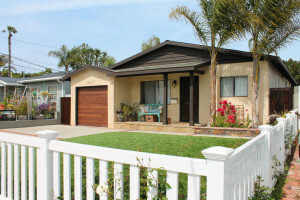 We recently sold the home at 1637 Armour in the Golden Hills of Redondo Beach for what, at the time, was a very big number of $885,000. We had 9 offers and the demand was pretty unbelievable. It was a fairly rare situation in the Golden Hills as it was a smaller house at 1048 sq feet but it was all a single level and had a 4,100 foot lot. The typical lot in the Golden Hills is 2500 so this is a unique piece of property. The home sold in May of 2016 and is now back on the market for an unheard of $1,050,000 just months later. To our knowledge there were no upgrades done since they purchased. Will the market possibly bear this price? We're sorry, but we couldn't find MLS # WS16707161 in our database. This property may be a new listing or possibly taken off the market. Please check back again.